Need a 24 hour dentist? Whether you have an emergency outside office hours or you don’t have a regular dentist, you can count on us for urgent dental care. There’s never a good time to have jaw, gum, or tooth pain, which is why our 24 hour emergency dentist is always on call. Many local dentists trust us to treat their patients when they’re out of the office for evenings or weekends. We’ve treated thousands of patients, helping them find dental pain relief. Can’t afford to miss time off from work? Looking for a dentist open late? Our office is open in the evenings until 7pm. We understand that you have a busy life, which is why we work hard to accommodate your schedule. Our dentist is on call 24/7 for those emergencies that can’t wait until the next day. The sooner you call our emergency dentist, the more likely we’ll be able to save your tooth. Certain symptoms can indicate a larger problem with your oral health. Our dentist is on call 24/7 for those emergencies that can’t wait until the next day! For example, a pimple on your gums could be a sign that you need root canal therapy for an infected tooth. An abscess tooth doesn’t care if it’s 2 o’clock in the morning. You’ll feel a toothache just the same until you see our emergency dentist. 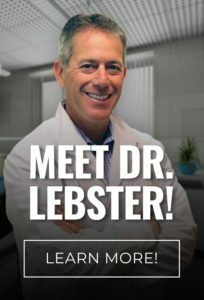 Dr. Lebster DDS is available 7 days a week for emergency dental care. To see our Holland emergency dentist as soon as today, call RediDental Emergency Dental Care at (616) 796-3200.